A Letter to My (White) Son | formations. // living at the intersections of self, social, spirit. Remember a year ago when I told you the tragic story of a teenager named Michael Brown shot to death by a police officer? Remember how we gathered flowers from our yard—billowing white hydrangeas and pink Echinacea cones, arranged them in a vase, then cut through the neighbor’s yard to place them at the door of Harris Chapel AME Church? Remember how we talked about the thing called racism? Well, sweet boy, there’s more to tell. So many grievous stories of hatred have broken the dawn of ordinary days that I cannot bear to speak each one. Instead, I impart to you instructions. Many parents today instruct what to do when an officer stops you and your skin happens to be black or brown. But your skin is white, so my set of instructions is different. People will say racism isn’t your fault or problem. How wrong they are. Racism is everyone’s fault. We’re all caught in its inescapable net, and ignoring its impact extends its reach. The truth is, beloved son, racism disfigures the soul. It hisses lies that you are superior, better than, with such craftiness that you mistake it for truth. And every time, your soul stiffens and shrinks. Make no mistake: racism is your problem, and everyone’s responsibility. Son, we live in a world that says your accomplishments, gifts, and successes belong only to you. The myth of American individualism runs through the media you consume, the history you’re taught. They say that your hard work got you where you are today. It didn’t. They say that you deserve whatever you acquire. You don’t. The truth is, honey, not one of us is self-made. Because you are a middle-class-American-Christian-white-boy, you will be told the lie of self-made success more often. The lie masks a difficult truth: your privilege will get you places that sheer hard work, talent, and determination never could. It’s a truth you will face when you look in the mirror. And sometimes, we can’t untangle the messy math of how we got where we are—how much is privilege (so silent, insidious as cancer) and how much is hard work. So remember: you are because we are. Everything that you are, everything that you have, comes from beyond you—from family, community, and also privilege, which you didn’t earn and can never justify. Don’t let that defeat you—as sure as the sun rises, you are gifted, brilliant, and determined. But let it humble you. Life is larger than you, hold accomplishments and possessions more lightly. Today I saw a photo of women sitting behind a banner that said “Free Slaps for Cisgendered White Men.” We’ll save Cisgendered for later…but I want you to know that photo stung. I love your father, and he is a good man. I love you and your brother. But that sign, sweet pea, is not about you personally. It’s directed at the system, a system which cedes power to those who conform to society’s idea of what it means to act like a man. This system is death-dealing. It flies in the face of the truth that we are all God’s beloved ones. So people get angry at the system, and I do too. You will have to learn that not everything said about white males is about you personally. Your skin will have to grow thick enough to receive criticism when you mess up, which we all do. You’ll have to make changes, open your heart to hard truths, and seek to understand before you cry out that you’ve been misunderstood. You will have to be vulnerable without withdrawing, defending, or minimizing the life experiences of people with black and brown skin when they challenge your perspective. You will have to cultivate resilience. When you don’t know what to do with the hatred in this world, share someone’s load. Come along side one who knows the sting of racism or poverty, and lessen their heavy load. Give flowers to the grieving, share food with your neighbors, bake cookies for someone who is lonely, listen deeply. Go out of your way to name the gifts and brilliance of those who don’t look like you. Ask how you can best support their work. Know that every day they experience acts of aggression that add up to a lifetime of stress and dis-ease. Accompany them. Privilege will lead you to places where everyone around the table of power looks like you. It will give you platforms, megaphones, and even cheerleaders. And when it does, don’t forget the stories handed down from your ancestors in the faith. Like Esther, who risked all that she had to speak truth to those in power, no matter the cost. When you arrive at a table of power, ask: who’s missing and why? Treat every table as an extension of the table of Jesus Christ where all are welcome, where breaking bread breaks down barriers. Don’t speak on behalf of those who are missing, go get them and bring them there yourself. If you’ve listened this far and feel sheepish about your white skin, remember: you stand on the shoulders of giants. Remember that you were named after Myles Horton, white Civil Rights activist who built and re-built (after it was burned) the Highlander Folk School, where Rosa Parks and Martin Luther King, Jr. plotted her courageous seat-taking on the bus. Remember the cloud of witnesses— white men like James Zwerg, Michael Schwerner, Andrew Goodman, and Richard Loving—who fought for justice as if their very lives depended on it. Which, of course, they did. Yours does too. Your soul hangs in the balance, and it will be most whole when you are in the struggle. I see in you a fierce spirit and wild heart. You will go to places I’ve never imagined, you will write your own letters. My prayer is that you will strive to live justly, love abundantly, and walk humbly with your God. 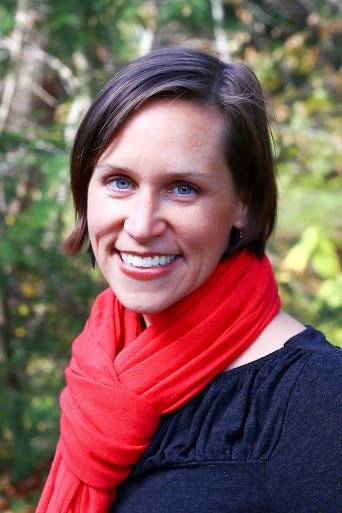 Amanda Hendler-Voss is a founding Co-Pastor of Land of the Sky UCC in Asheville, an open and affirming congregation. She facilitated the launch of a new Prison Ministry that now provides a day-long retreat for incarcerated mothers and their youth. Amanda earned her M.Div from Candler School of Theology at Emory University, graduating with certificates in Black Church Studies and Church and Community programs. She lives in Canton, NC, with her husband, Seth, and two sons, Myles (age 8) and Simon (age 2). Beautiful and much needed. Many thanks.